Reservations Bookings can be made online, by email to Xplore.booking@beactive.life, or by calling us directly on (+61) 400-207-207. You agree that you may only make reservations for yourself and your invited guests, and you must not make reservations for the purpose of reselling, posting, advertising or marketing reservation information through third-party websites or other means, or any false, fraudulent or speculative reservations. Change of guest name of any reservation is not allowed unless there are any special circumstances deemed acceptable by our booking team. The hotel has the right to reject any guest from checking-in if the guest name is different from the name as stated on the reservation. We reserve the right to cancel or modify the reservation you made in its sole discretion without notice if it appears that any reservation has been made in breach of the above terms or involve any abuse of the reservation service. Payment Pre-payment is required at the time of the booking. See Cancellation conditions for a refund of the deposit. Changes /Cancellation conditions You can change or cancel your booking for free up to 14 days prior to check in. If you need to change the dates of your booking please contact our reservations team by email to Xplore.booking@beactive.life or by calling us directly on (+61) 400-207-207 . Changes of dates are subject to availability and rate differences may apply. If you book via another website, all changes must be made directly with the agent. 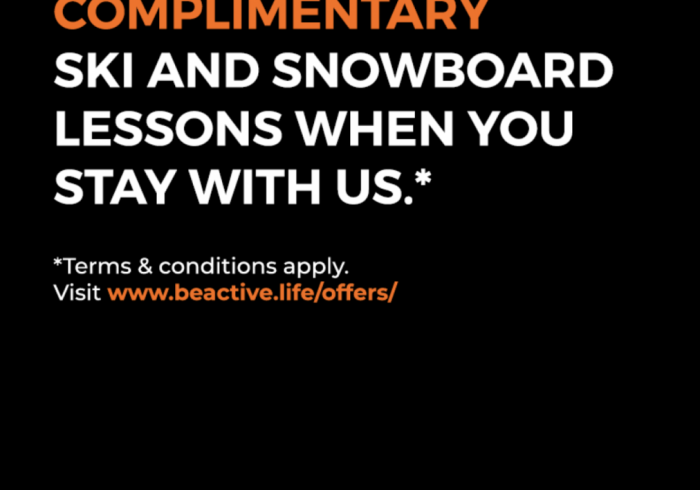 All cancellations can only be made by email directly to Xplore.booking@beactive.life. Any refunds will be made by the same method the payments were made and to the specific card used at the time of the booking. 100% will be charged for any changes and cancellations made within 14 days of check in. Refund is not applicable to non-refundable bookings. No Show If you fail to arrive for your stay, you will be charged for your full stay. Personal Property It is a guest’s responsibility to ensure that personal belongings are secure at all times. Xplore by Active Life Madarao accepts no liability for the loss or damage to guests’ property, however sustained or caused. Located less than 240m from Madarao Kogen ski lifts, also offers ski-in ski-out access to guests. Xplore by Active Life Madarao is one of the biggest ski hotels in Madarao Kogen Ski Resort. Newly renovated in 2018, Xplore offers guests with a choice of modern western style rooms or authentic Japanese rooms. The guest rooms at Xplore are well designed and equipped with all the comfort you will need for a comfortable stay in one of the best powder resorts in Japan. The hotel perfectly encapsulates the simplicity of Japanese design with Western comfort to ensure your stay is cosy and fun.